Executive Directors: A New Program Just for You! 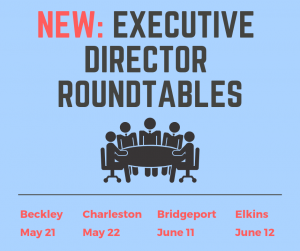 This year, our Spring Regional Meetings are changing into Executive Director Roundtables! We want to get to know nonprofit CEOs and Executive Directors better and bring you training and discussion on a sometimes overlooked topic: Human Resources. Whether your organization has 30 employees or 3, you’ll want to attend this dynamic session which will include the chance to workshop some of your HR issues and take home an action plan to move forward.